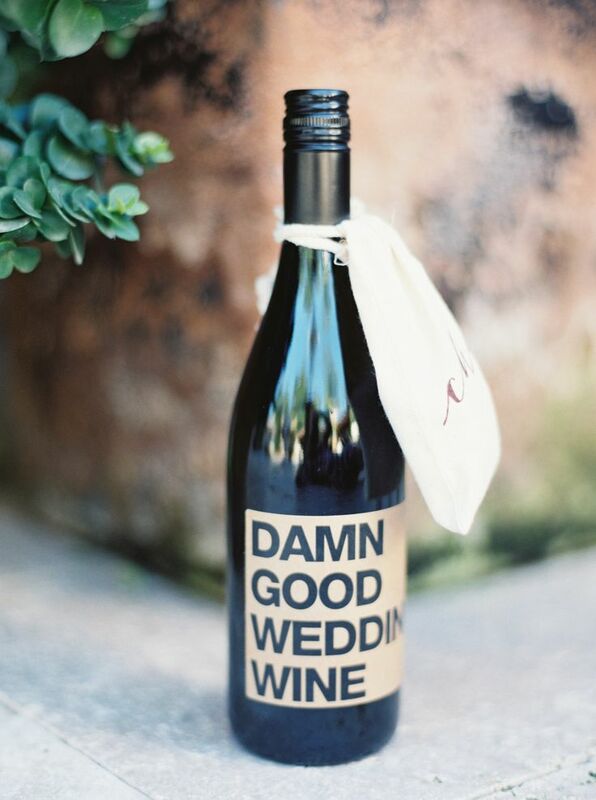 If you're looking for good ideas for your wedding, this is your post. We have summarized the 5 main trends for 2015 to be officially declared your muses. Every wedding is a world in itself. They are all unique and special because the reason for a wedding always is, but let's not fool ourselves, there are also lots of tacky weddings and ones with no charm. So, get your act together, enjoy the thrill of organizing such a special day and enjoy the whole process. Get yourself ready for your wedding and adapt these ideas to your own style, to your own taste and personality, because authenticity is always in vogue. Here are the five trends we have selected mainly because you can personalize them and they can be adapted to any budget. It's official, bottles are in! The main webs and blogs in vogue can't stop talking about them because they are a very simple resource, chic, effective and absolutely inexpensive. Glass in all the colours and shapes you can imagine, perfect for receiving guests with a summer soft drink, decorating tables with bottles of wine with the bride and groom's names, in strategic corners of the garden where the reception is being held, like hanging lanterns or candle holders. They will give an eco-friendly touch because they can be new, re-used or old. You can personalize them with specially designed stickers for your wedding,tailor-made and however you wish. 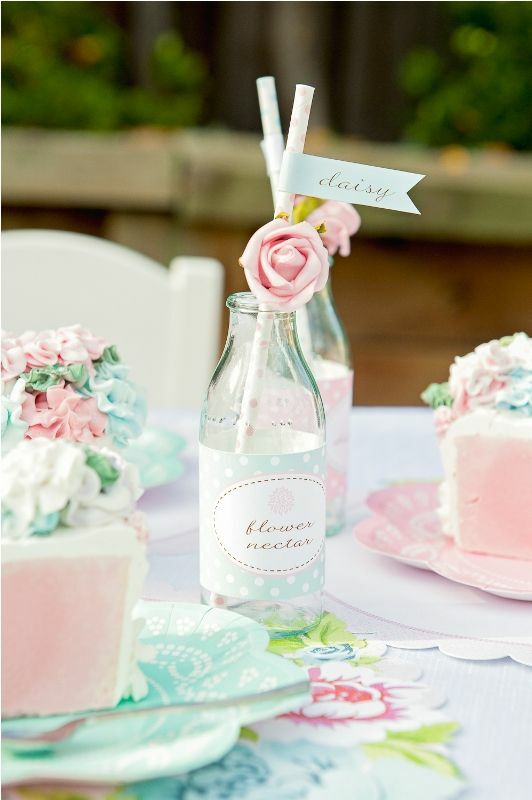 Imagine a wooden crate of glass lemonade bottles and some personalized stickers with your name or wedding illustrations, a way of surprising your guests with a fantastic and refreshing welcome. 2. Wedding badges, the latest fashion. Passion and fashion, the perfect rhyme for your star gift: personalized badges. 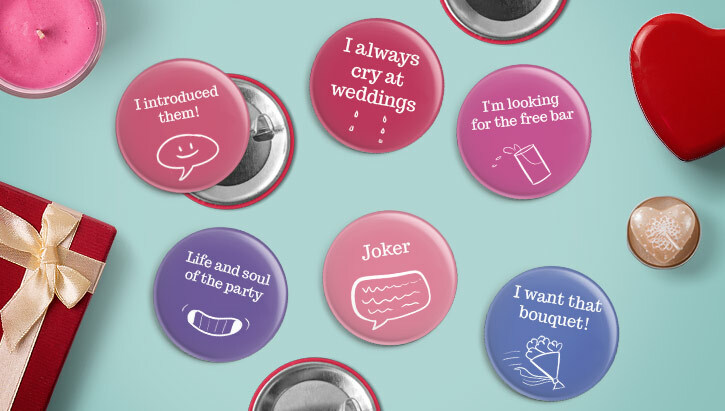 Badges have never stopped being trendy, but now they are for weddings too. They have so many possibilities that we need thousands more posts to give them the space they are worthy of. Butwhy are they so successful? The answer is very simple: they're very popular. Badges in shapes, sizes and finishes that you can personalize for each guest. 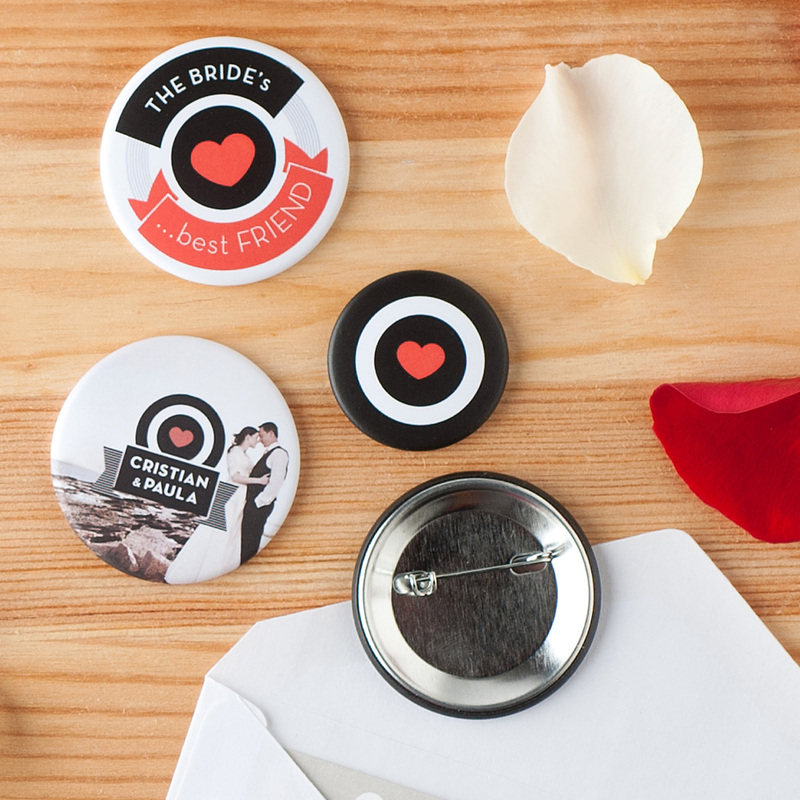 Create totally personalized invitations with a collection of badges with your name, date of the big day, a fun photo or with "clues" about what your wedding will be like. Your scene, rocker, romantic,vintage, golden luxury-stylebadges or ones with daring and original designs. Badges are a very easy product to design, we'll help you with a custom web space for you to upload your pictures, illustrations, choose the colour you like best and add the text you want. You can preview the result and make as many different models as you like and at the same price. Because another advantage of making badges is that they have a minimum cost. 3. Design a logo for your wedding. A picture can be worth more than a thousand words, but not more than these two: I do. 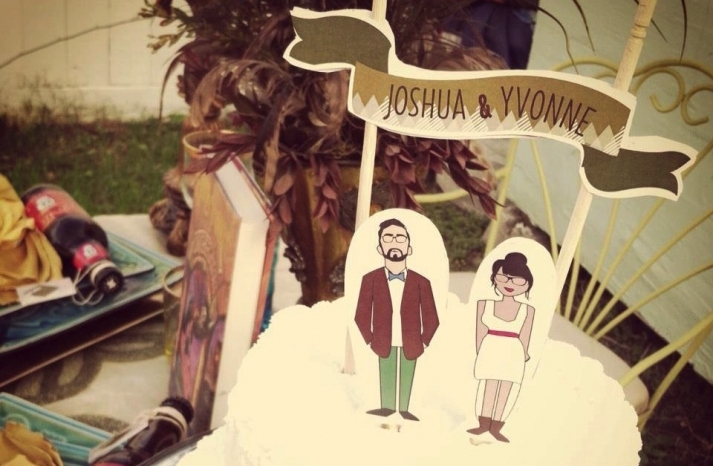 Our team oftrend hunters are in no doubt: create your own logo for your wedding. A unique avatar that will let you personalize every detail and give consistency to all the decorations and style of your wedding. 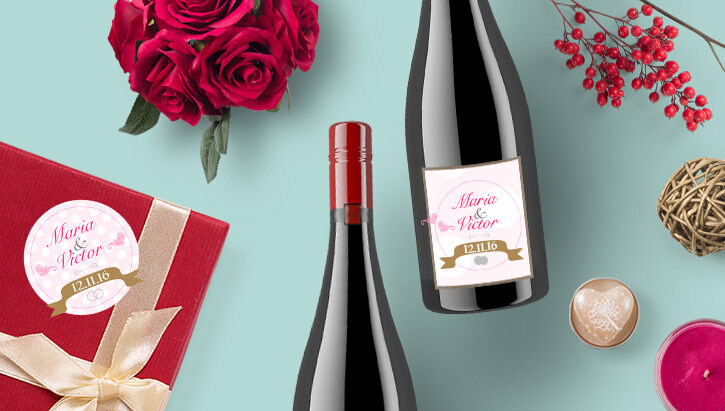 Your design on the invitations, blog, your social networks, emails, wedding gift list, decoration, party and gifts for your guests. 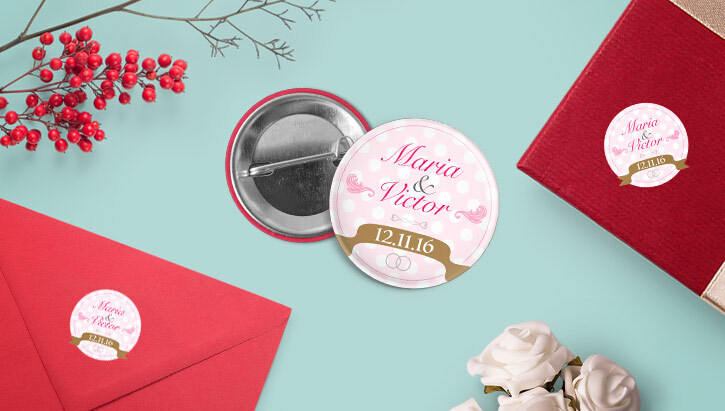 You can identify each detail with your image: invitations, wedding badges, stickers, magnets, envelopes. 4. A wedding is a celebration. A wedding, above all else is a celebration, and at celebrations people like to have a good time. That day people from very different backgrounds are going to come together. Work colleagues with uncles from the country, your university gang with your football friends. With this whole potpourri what's in now is to help break the ice among your guests with small gifts that make rapport among them easier and for them all to enjoy the big celebration. Make a note of this, you're going to love and it works: Badges with original slogans. Fans of series? Do you like films? Is it a wedding or a fairy tale? Yes, Jedi weddings are trendy, your taste is the best storyline for your wedding decoration and for giving shape to it and to all the little gifts. Think something incredible and you'll get it right: superhero guests and bride and groom. You've married Batman! 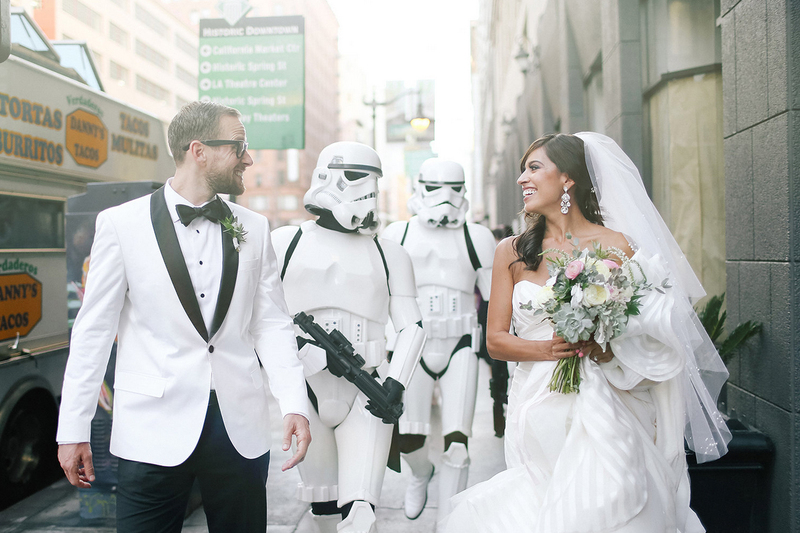 Here you have a good geeky wedding StarWars style.